PUBLICATIONS Co-translating Henri Blocher, La doctrine du peche et de la redemption into English. Forthcoming title will be Redemption: Accomplished and Applied. New Studies in Dogmatics. Zondervan Academic. Under contract. Manuscript due July, 2014. BOOK REVIEWS Multiple reviews written for European Journal of Theology, Reviews in Religion and Theology, Scottish Bulletin of Evangelical Theology, Themelios, and Theological Book Reviews. ACADEMIC AWARDS & HONORS Recipient of the L. John and Marjorie Look Buyse Fellowship, 2010–2013. Recipient of the Graduate Student Conference Presentation Grant, 2013 for the National ETS meeting in Baltimore, MD. Recipient of the Graduate Student Conference Presentation Grant, 2012 for the National ETS meeting in Milwaukee, WI. 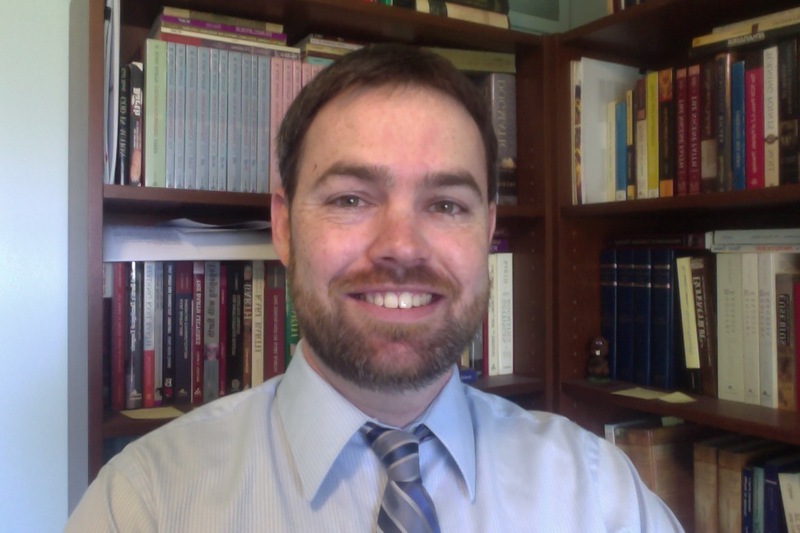 Recipient of the Graduate Student Conference Presentation Grant, 2011 for the Society for Study of Theology in York, England. PRESENTATIONS “The Demise of Divine Simplicity in Modern Theology: A Survey and Response.” Evangelical Theological Society National Meeting. Baltimore, MD. November 19–21, 2013. “Biblical Judgments and Theological Concepts: Toward a Defense of Imputed Righteousness.” Evangelical Theological Society, National Meeting. Milwaukee, WI. November 14–16, 2012.“The Eternality of God: Toward a Theological Interpretation of the Book of Mormon.” Society for Mormon Philosophy and Theology. Logan, UT. September 20–22, 2012.“Karl Barth on Divine Simplicity: A Neglected Voice in the Tradition.” Society for the Study of Theology. York, England. March 26–28, 2012.“Karl Barth’s Re–interpretation of Divine Simplicity.” American Academy of Religion, Midwest Regional Meeting. Rock Island, IL. March 30–31, 2012. “Divine Simplicity and the Doctrine of God.” Interdisciplinary Symposium of Psychology and Theology. Wheaton College. Wheaton, IL. March 20, 2012.“The Loss of the Divine Names: Toward the Recovery of a Biblical and Theological Tradition.” Evangelical Theological Society, National Meeting. San Francisco, CA. November 16–18, 2011. Panel participant on Mormon and Christian Theology at the annual National Student Dialogue Conference. Salt Lake City, UT. October 19–20, 2007. Teaching Assistant for Dr. Kalantzis (2007–08). Lead semester long discussion groups for Gospel, Church and Culture, BITH 111; Fall, 2007.